The little girl who believed in magic is now in her twenties and about to let go of her childhood friend forever, but when the mysterious Light Man shows up again and in great need, she will set aside her adult prejudices and believe once more. Eran is not just a magical man and he didn’t just show up in Shari’s time and place on accident. He was sent to her not to help Shari, but to be helped by her. One thing I know for certain about S.A. Huchton (aka Starla Huchton) is that she knows how to write a great romance, no matter the genre. Her romances are the most compelling, no matter if they occur within sci-fi or fantasy. 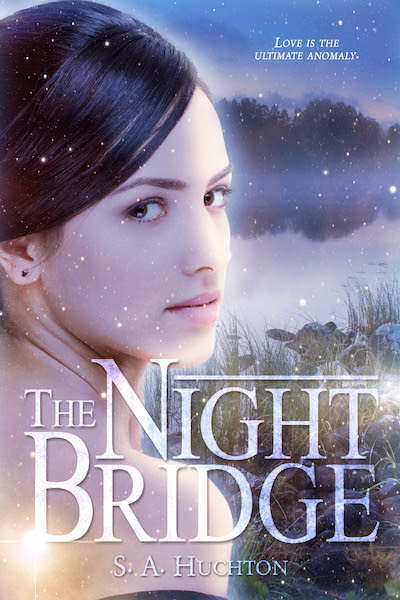 The Night Bridge had that pull that happens in a good romance where there is an inevitability that will make your heart lurch because you love the characters so much and their romance is so sweet that to tear that apart would devastate you as much as the characters. I felt that this book was a bit rushed and a lot of the events seemed to happen as if they were in a bubble and not within the realm of a normal (our) world. Also, Shari was dead set against getting to know or even let her romantic feelings towards Eran take over and then suddenly (mostly all of a sudden but she does think it through) she changes her mind and is head over heels in a whirlwind fast romance. This novel was published by Amazon Digital Services, Inc. on August 10th, 2015 and is available on Amazon here.